Check out our Past Events! What was the 2015 priority? 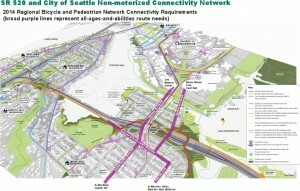 The Washington Department of Transportation must design better walking and biking connections as part of the SR-520 project. 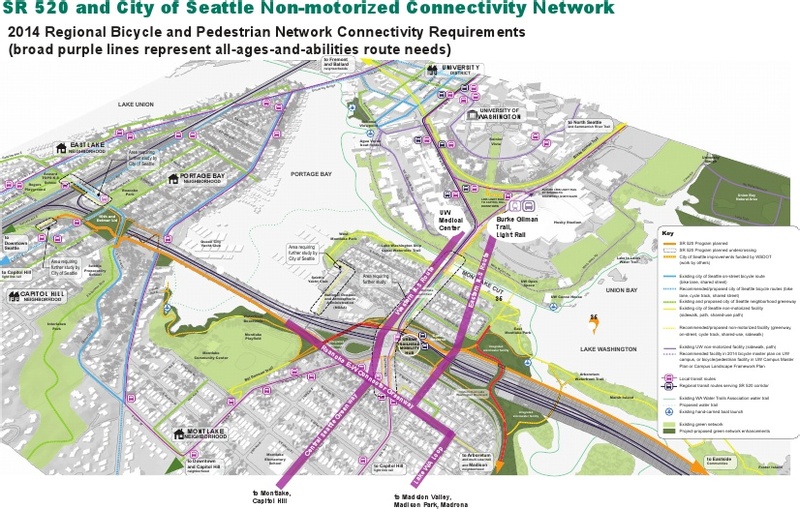 This project will either reconnect the neighborhoods of Montlake, University District, Capitol Hill, and Portage Bay or further divide them. Thanks to the sustained efforts of our dedicated volunteers we can expect to see direct and safe walking and biking connections through the SR-520 interchange. We helped create a strong City of Seattle resolution outlining the needed improvements to the walking and biking connections as the design process moves to the next stage. Thank you to everyone who made these successes possible! Big Win! Through our advocacy, the City Council adopted a strong Resolution requiring a better design. We pulled together our healthy transportation allies and on January 28, 2015 sent this letter outlining the changes we expect to see from the design to make it functional for people walking and biking. 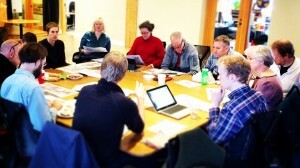 We have met with city councilmembers and state representatives to discuss these issues.